Ive been back for almost a month but some part of my soul is still in Vegas & Japan. And am already searching for the next destination and travel companion too. Anyone interested in visiting HongKong, Taiwan or Australia? So what are some of the signs of post travel syndrome? 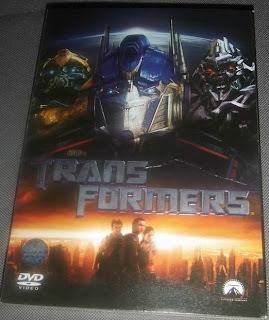 For me, ive gotten the Transformers movie DVD just a week after returning home. Because some of the shootings were done in Hoover Dam. Ive also gotten the PC game "Rainbow 6: Vegas" soon after Ive gotten back from last year's Vegas trip. I guess im those who enjoys reminiscing my trip experience, and catch up on those areas i visited and say "hey, ive been there". Contrary to some who would visit some places after they've seen it on movie/tv, and they would go "hey, [insert_celeb_name] was here". So which would you prefer to say? "ive been there" or "[insert_celeb_name] was here" ? I, I, I, I, I was here! Hey im looking forward to your Vienna trip pics.. show me show me!